At the Rangel Law Firm, we try lawsuits. The hallmark of the Rangel Law Firm is our willingness to try cases. Our attorneys are committed to vigorously representing your interests before a judge or jury in courtrooms throughout South Texas. We are familiar with South Texas courtrooms because we are from here. For over 30 years, we have been successfully trying cases throughout South Texas. Let us put our experience to work for you. Areas of Civil Litigation We practice a broad range of civil trial law, both in state and federal courts. The cases we have tried include commercial disputes, libel and slander cases, oil & gas disputes, title disputes, will contests, real estate disputes, employment suits, and products liability claims. We also handle personal injury & wrongful death cases. When you want your day in court, we are the lawyers for you. No matter how complex or difficult your legal matter, we know how to develop your case through discovery and present your case to a judge or jury. Our clients range from large companies to small businesses to individuals. For more information, or to set up a free initial consultation with an attorney at our Corpus Christi office, call 361-883-8500 or fill out our simple contact form. Se habla espaol. We are experienced in trying personal injury claims. You have a right to seek compensation for your physical, emotional, and financial damage. Our lawyers handle all types of personal injury cases, including: -Auto accidents -Injury caused by dangerous or defective products -Construction accidents -Refinery accidents -Oil field injury -Premises liability, such as injuries caused by negligent security and unsafe -property conditions -Wrongful death Wrongful Death There are many different types of accidents that result in wrongful death, including car accidents, refinery accidents, defective product injuries, and workplace accidents. At The Rangel Law Firm, P.C. in Corpus Christi, Texas, our lawyers have extensive experience handling wrongful death claims. We know how to develop evidence through discovery and present such cases to a jury. At The Rangel Law Firm, we are first and foremost trial lawyers. For more information, or to set up a free initial consultation with a personal injury and wrongful death attorney at our Corpus Christi office, call 361-883-8500 or fill out our simple contact form. Se habla espaol. 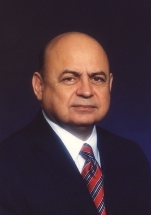 JORGE C. RANGEL was born and raised in Alice, Jim Wells County, Texas. He is President of The Rangel Law Firm, P.C., in Corpus Christi, Texas. He represents parties in complex civil litigation in state and federal courts throughout south Texas. Over the past 39 years, he has tried many jury and non-jury cases, on both sides of the docket, involving a wide array of disputes. He received his undergraduate degree from the University of Houston in 1970 and his law degree in 1973 from Harvard Law School, where he was Articles Editor of the Harvard Civil Rights-Civil Liberties Law Review and was elected Class Marshal. He served as the first Presiding Judge of the 347th District Court in Nueces County, Texas. He taught Contracts and Constitutional Law at the University of Houston Law School. He is Board Certified by the Texas Board of Legal Specialization in Civil Trial Law and Personal Injury Trial Law. He is a Fellow of the American College of Trial Lawyers, a Fellow in the Litigation Counsel of America, an Advocate in the American Board of Trial Advocates and a member of the International Association of Defense Counsel. He is a member of the American Law Institute. He is listed in the 2012 edition of The Best Lawyers in America in the Litigation fields of: Bet-the-Company, Commercial and Personal Injury. Texas Monthly magazine named him a Texas Super Lawyer for 2011. He has served as Chairman of the Antitrust and Business Litigation Section of the State Bar of Texas, of the Texas Board of Legal Specialization and of the Board of Governors of the Bar Association of the Fifth Circuit. He served as the Fifth Circuit Representative on the ABA's Standing Committee on the Federal Judiciary. In 1997, President Clinton nominated him to the U.S. Court of Appeals for the Fifth Circuit, but a hearing was never scheduled on the nomination. The Texas Supreme Court appointed him to the Texas Board of Law Examiners, where he served as Chair of the Board. He also served as Chair of the Texas State Commission on Judicial Conduct. He has received an AV Peer Review Rating from Martindale-Hubbell, the group's highest rating of legal ability and professional ethics. He is admitted to practice before all courts in the State of Texas, the United States Supreme Court, the Court of Appeals for the Fifth Federal Circuit and the United States District Courts for the Southern, Eastern and Western Districts of Texas.